Thank you for joining us at JCO – Ready For 100! What an honor it was to collaborate with JCO on this special occasion! We had so much fun facilitating Tribeless Conversations for you to get to know each other on a deeper level. From sharing stories, to exchanging ideas, to building new relationships, it was an afternoon to remember! Bring us into your next event. We worked with JCO to design and facilitate this conversation activity to suit the unique needs of their guests. We'd love to do the same with you. If you want to explore having Tribeless at your next event, whether it’s a conference or a retreat, let’s chat! “After just one hour of Tribeless Conversations, we have participants forming WhatsApp groups, making plans, and starting projects together! Their ability to deliver this experience of intimate sharing and bonding at scale [ensured that] every break-out group – and we had close to 20 – had the same quality of conversations. Thank you Tribeless for making this edition of TEDxPickeringStreet the most meaningful one yet! Join our trainings and workshops. What you’ve just experienced is the result of our internal approach and methodology, developed over 500+ hours of testing. 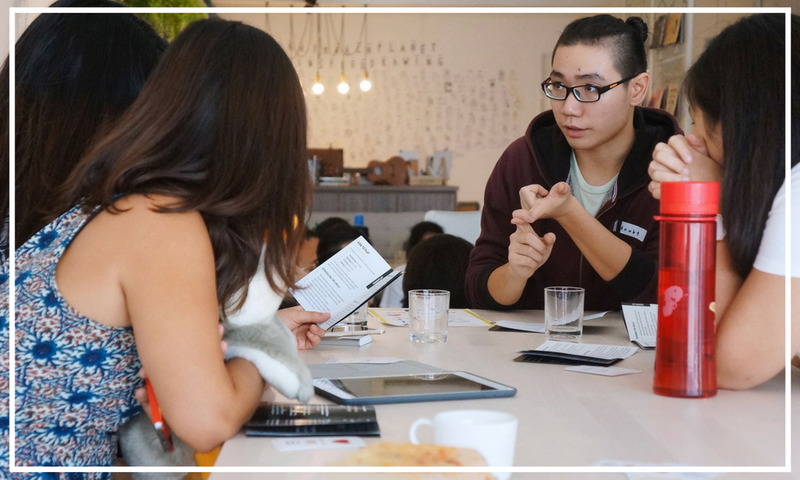 If you want to bring empathetic conversations into your everyday life and learn the skills to do so, sign up to be notified on our upcoming hands-on workshops in Q1 2019! Experiencing Tribeless for the first time was above anything I had ever expected! I had heard great stories about it, but actually doing it myself, I have found it to be an eye opening experience. Tribeless allows you to enter a space that colleagues never get to, where guards are lowered and stories are shared. Life lessons, personal frustrations and perceived obstacles are just some of the topics that flow out, almost naturally. The disarming quality of a Tribeless Conversation is hard to identify, and is best experienced than explained. Phrases like “innovation consulting” and “team building”, common in the corporate world, do not do the experience justice. Sign up to our bi-monthly newsletter for THE UP'S, DOWN'S ON ROUND N' ROUND'S OF OUR ENTREPRENEURSHIP JOURNEY.